MIT NG charger-rectifiers are based on conventional thyristor technology with the addition of advanced control through an embedded microcontroller, thus achieving proper battery management and ensuring reliable power supply to the consumption points. The ZIGOR MIT NG range consists of single-phase or three-phase versions with current calibres adapted to the needs of each project. These systems are extremely customisable and Helios can adapt aspects such as surge protection, distribution panels, etc. to the needs of each customer. 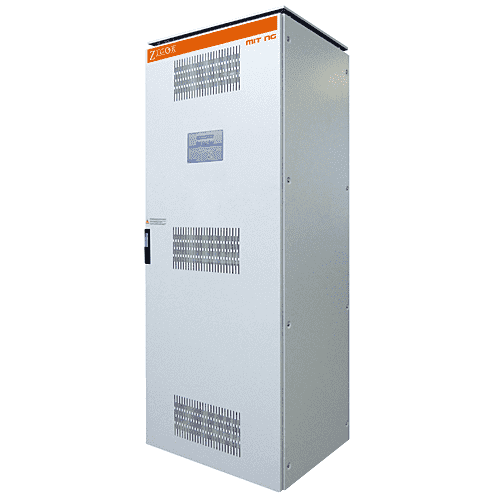 Depending on the application, nickel-cadmium batteries, flooded or valve regulated lead-acid batteries are used for energy storage in the power supply system. Each type of battery requires an individual charging characteristic which can be accomplished by the control cards. , there is a number of options and accessories for individual confi guration of the charger system.